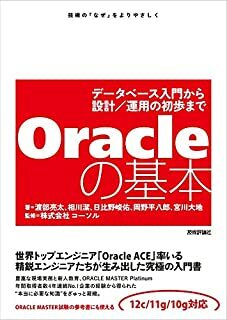 TKPROF: Release 18.0.0.0.0 - Development on 土 8月 11 06:08:49 2018 Copyright (c) 1982, 2018, Oracle and/or its affiliates. All rights reserved. Trace file: orcl18c_ora_14007.trc Sort options: default ******************************************************************************** count = number of times OCI procedure was executed cpu = cpu time in seconds executing elapsed = elapsed time in seconds executing disk = number of physical reads of buffers from disk query = number of buffers gotten for consistent read current = number of buffers gotten in current mode (usually for update) rows = number of rows processed by the fetch or execute call ******************************************************************************** select col01, col02 from tab001 where COL01 = '0000001077' call count cpu elapsed disk query current rows ------- ------ -------- ---------- ---------- ---------- ---------- ---------- Parse 1 0.00 0.00 0 0 0 0 Execute 1 0.00 0.00 0 0 0 0 Fetch 2 0.00 0.00 0 5 0 1 ------- ------ -------- ---------- ---------- ---------- ---------- ---------- total 4 0.00 0.00 0 5 0 1 Misses in library cache during parse: 0 Optimizer mode: ALL_ROWS Parsing user id: 74 Number of plan statistics captured: 1 Rows (1st) Rows (avg) Rows (max) Row Source Operation ---------- ---------- ---------- --------------------------------------------------- 1 1 1 TABLE ACCESS BY INDEX ROWID BATCHED TAB001 (cr=5 pr=0 pw=0 time=54 us starts=1 cost=4 size=22 card=1) 1 1 1 INDEX RANGE SCAN TAB001_IDX (cr=4 pr=0 pw=0 time=85 us starts=1 cost=3 size=0 card=1)(object id 23110) Elapsed times include waiting on following events: Event waited on Times Max. Wait Total Waited ---------------------------------------- Waited ---------- ------------ SQL*Net message to client 2 0.00 0.00 SQL*Net message from client 2 0.00 0.00 ******************************************************************************** Trace file: orcl18c_ora_14007.trc Trace file compatibility: 12.2.0.0 Sort options: default 1 session in tracefile. 3 user SQL statements in trace file. 0 internal SQL statements in trace file. 3 SQL statements in trace file. 3 unique SQL statements in trace file. 105 lines in trace file. 118 elapsed seconds in trace file. 3 user SQL statements in trace file. 3 SQL statements in trace file. 3 unique SQL statements in trace file. 105 lines in trace file. 118 elapsed seconds in trace file.